In its Centenary year (1959) the Royal Society of Victoria instituted a Medal for Excellence in Scientific Research. The Award consists of a Silver Medal, which is awarded annually for scientific research in one of four categories that rotate from year to year. 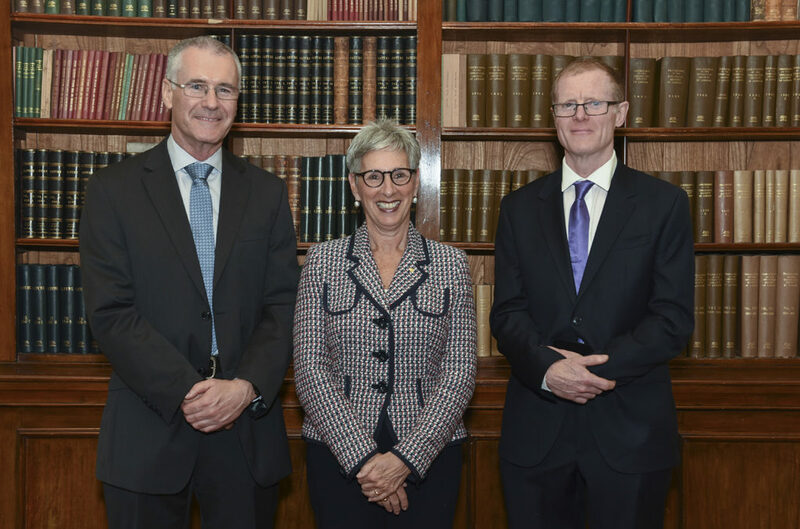 Nominations are invited for the Royal Society of Victoria Medal for Excellence in Scientific Research 2019 in Category III: Earth Sciences. This category includes research in the disciplines of Geology, Geochemistry, Geochronology, Geophysics, Planetary Physics, Meteorology, Oceanography, Physical Geography, Palaeontology and related sciences. The award of the Medal is based on demonstration of the candidate’s excellence and leadership in scientific research. The candidate’s research work shall have been carried out in Australia (including its territories), or on Australia, with preference for work done in Victoria, or on Victoria. • Nominations open on 31 March, 2019 and close at 5pm on 31 July, 2019. • Candidates cannot nominate themselves. • Scientific Societies, Academies, Universities, Research Institutes, CSIRO, and Members of the Royal Society of Victoria are invited to make nominations. 1. Exemplary publication track record during the ten year period from 1st January 2009 to 31st December 2018. The track record will be judged on papers published and/or accepted for publication in refereed international journals. Work outside the ten year period will not be considered. Career record relative to opportunity will be considered by the assessors. Nominators should indicate whether the nominee is an early career researcher, has had career interruptions, or has had extended periods of part-time employment. For multi-authored publications, the contribution of the applicant should be indicated. 2. Consistent excellence in innovation or ground-breaking research and patents, incorporating novel scientific techniques and methods – described in plain language. 3. Exemplary leadership in science incorporating evidence of: a major contribution to the public promotion of science, advocacy for science, partnership building, collaborations, role model and influence across the scientific community. The nomination statement, signed by the nominator, covering points 1 to 3 above. This must be in Times New Roman, 11 point, and no more than three A4 pages please. A brief (no more than five A4 pages) Curriculum Vitae of the candidate. A list of publications, attached in supplement, should be constrained to the ten year period from 1st January 2009 to 31st December 2018. The Royal Society of Victoria reserves the right to seek independent referees in considering the nominations received, and not to consider nominations that do not comply with the nomination format or do not address the award criteria. If no candidate of sufficient merit is nominated, no award need be made in a particular year. No posthumous award will be made. The successful candidate will receive an engraved silver medal which is presented by the Society’s patron, Her Excellency the Governor of Victoria, The Hon Linda Dessau AM. The medallist will be required to present a lecture to the Society Members and guests on the evening of Thursday, 12th December 2019 at which the Medal will be presented. Astronomy, Astrophysics, Chemistry, Engineering, Mathematics, Physics and related sciences. Agriculture, Biochemistry, Botany, Cell Biology, Ecology, Forestry, Zoology, and related areas of non-human biological science.